Kerssemakers, left, on Volvo's decision to bring in Gustafsson, right, to succeed him in the U.S.: "Now is a good changepoint." Volvo Cars named Lex Kerssemakers as head of its Europe, Middle East and Africa (EMEA) region. Kerssemakers returns to Europe after steering Volvo's rebirth in the U.S. over the past 32 months. Anders Gustafsson, 48, who is Volvo's current head of EMEA, will replace Kerssemakers, 57, in the U.S., Volvo said in a statement on Tuesday. 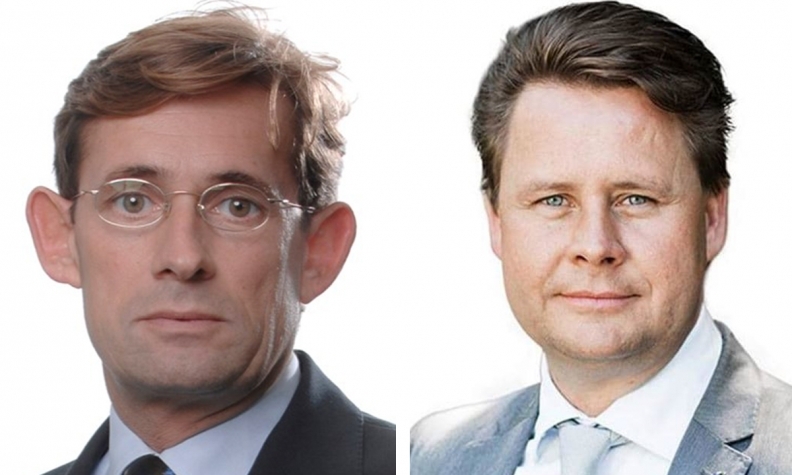 Kerssemakers and Gustafsson took on their current roles leading the Americas and EMEA in 2015, respectively. Before then, Kerssemakers led Volvo's product strategy and vehicle line management while Gustafsson oversaw the automaker's Swedish operations. "Now is a good changepoint," Kerssemakers said of the management switch. "We have outlined our strategy for the U.S. Now it's about continuing to fine-tune that strategy." The changes take effect Sept. 15. Gustafsson takes charge of Volvo's U.S. operations at a pivotal time. The automaker's first U.S. assembly plant is set to open next year, providing a new production source for Volvo, which has been pinched this year by tight supplies of vehicles such as the top-selling XC90 SUV. By handing the reins to Gustafsson, Kerssemakers said Volvo is betting on a longtime retail specialist for its continued growth in the U.S. Gustafsson has had a connection with the Volvo brand since age 14, washing cars at the Volvo dealership his family has run in southern Sweden for 45 years. He also served as the CEO of Hertz Sweden before joining Volvo in 2009. "My successor is very much a retail man, he knows exactly what is necessary in a market," Kerssemakers said in an interview. Kerssemakers is a Dutch national who joined Volvo's product marketing office in Belgium in 1996. Kerssemakers will also be responsible for coordinating the development of Volvo's commercial operations, a new role that reflects the company's broadening range of business interests. Kerssemakers will focus more on industry trends that will affect the brand globally. Those include mobility, electrification and changing consumer behaviors. In July, Volvo pledged that all new models introduced in 2019 and after would run on electrified powertrains. In an April interview with Automotive News Europe, Gustafsson echoed Kerssemaker's call for renewed efforts to revamp the Volvo brand even further, following two years of success. "Volvo has tried so many times to reach the premium level and now it is there," Gustafsson said. "I am very confident we can stay at this level, but we're going to have to work even harder to try to exceed what we have already achieved." Volvo's global vehicle sales increased 7.9 percent to 321,919 in the first seven months. Sales in the EMEA region rose 6.2 percent to 187,546.